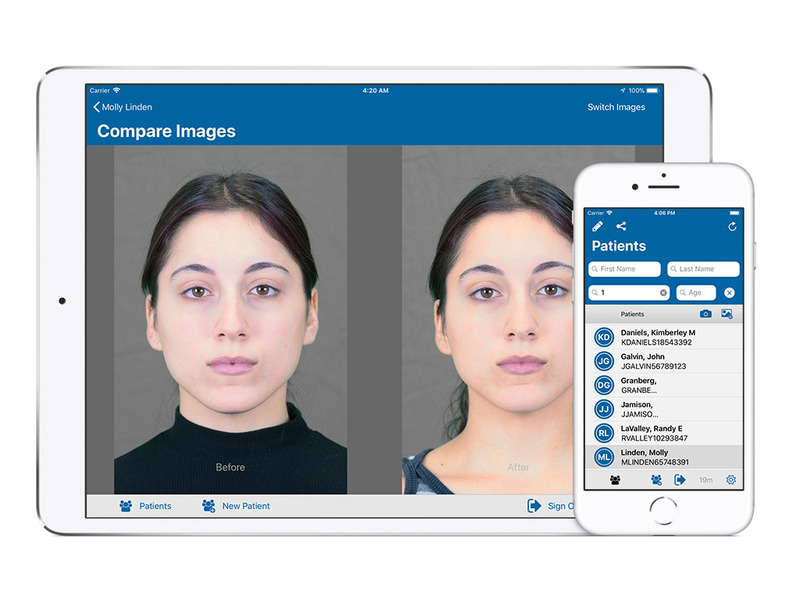 The Epitomyze Capture™ app is an advanced photo-documentation and clinical photography tool that enables health care providers to easily capture, standardize and manage clinical photographs to support clinical decisions and to document and track clinical results. These “apples to apples” before-and-after photos are captured using a mobile device (currently an iPad, with other platforms in the works) and are securely uploaded to our secure, HIPAA-compliant image and document storage platform, Epitomyze Cloud™, where they can be tagged, searched, and securely shared with other providers, payers and/or patients. Epitomyze Cloud™ (formerly ImageStore®) is the oldest and one of the largest cloud-based clinical photography management platforms in existence, storing millions of photographs for some of the largest and most well-respected hospitals and medical practices in the world. Don’t settle for poorly composed clinical photographs that don’t give you the information you need or weren’t captured at the angle you want. Don’t endure the time consuming, error prone and insecure methods of capturing photos with a handheld camera and manually uploading them into the EHR. Setup of the Epitomyze Capture™ app is simple and often takes less than 20-30 minutes to get your practice up and running with the service. Open the app, create a new record or retrieve a patient's photographic record, then capture as many clinical photos as you need, in seconds, all from your mobile device. Epitomyze Capture™ guides you to capture follow-up photos at the same distance, orientation and angle as the first, with ease. All photographs are automatically uploaded to our secure image management platform, Epitomyze Cloud™, where they can be annotated with your notes, tagged with diagnosis, procedure and site information, and searched and securely shared with other providers, patients or payers. The Epitomyze Capture™ app and Epitomyze Cloud™ are HIPAA-compliant and ensure photo security and patient confidentiality by, among other methods, storing patient information and photographs independently in encrypted data storage systems. Finally, the Epitomyze Cloud™ system is hosted in a state-of-the-art facility which uses rigorous security measures to ensure the safety and security required for medical practices. Whether you have one treatment room or 10, a dedicated room for consultation and photography or several, consistent overhead lighting, open windows with lots of sunlight or low-level spa lighting, we can help you select the right tools to improve the quality and accuracy of your clinical photographs. Copyright © 2019 Epitomyze Inc. All rights reserved. Get a FREE COPY of our Standardized Series – Photo Guide for the Face and receive future tips, tricks and offers on topics including photographing the neck, chest, arms and more!